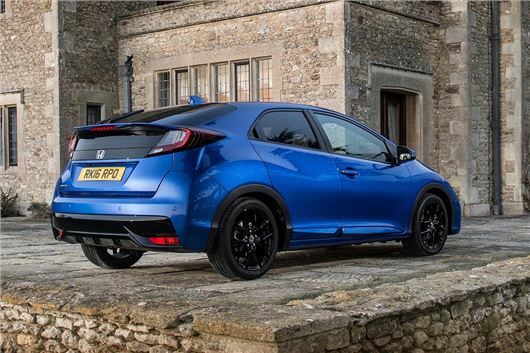 Honda is now offering the Civic Sport with a 1.4-litre i-VTEC petrol engine, priced from £18,360. The 1.4i joins the 1.8-litre i-VTEC petrol and 1.6-litre i-DTEC engines, which were already available in Sport trim. Sales start in May 2016. The Civic Sport has a unique rear spoiler design, 17-inch alloy wheels and various details similar to those seen on the hot Civic Type R, but in a more insurance-friendly package. Peak power for the 1.4i is 100PS, while peak torque is 127Nm. Emissions are 131g/km and official economy is 50mpg.